New to Cheshire Window Shutters, Eco plantation Shutters are now available. 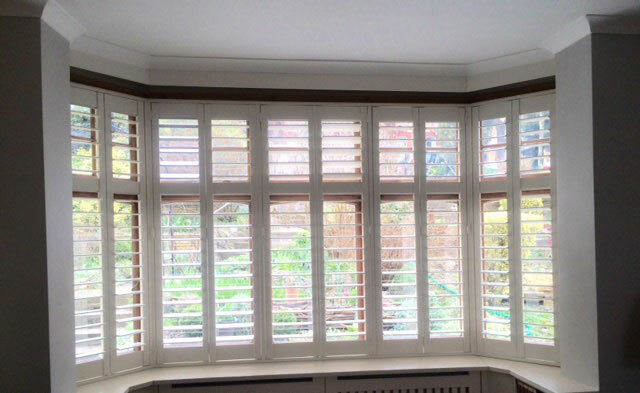 These shutters are available in three colours, White, Silk White and Parchment. We also offer this shutter in a custom colour option. The Eco Shutter is available with two frames, Insert face, beaded Z and small Z frame. Louvre sizes of 64 and 89mm only. Will not warp, twist or split. Water resistant and suitable for wet rooms. Eco shutters can be shaped to suit any window.